Posters will be placed in their corresponding panels on Monday 27th at 8:30, before starting the opening session. 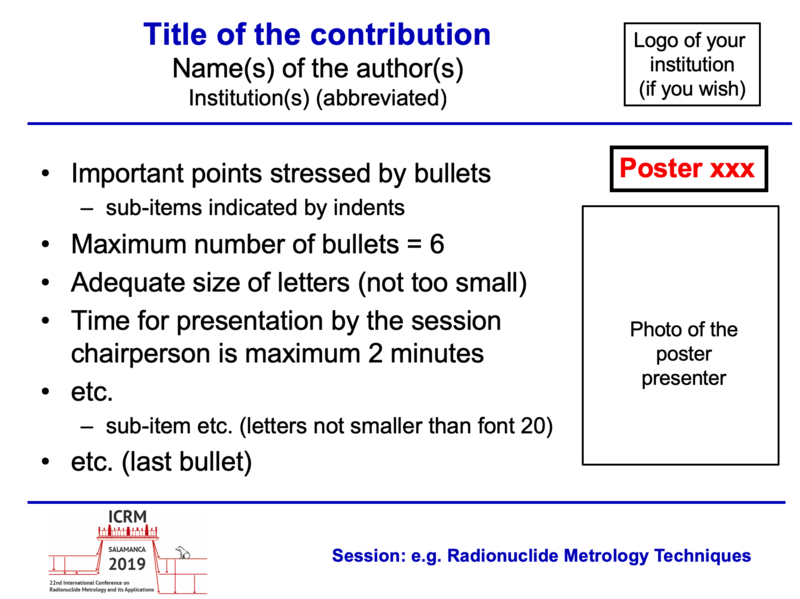 Panels will be labeled with the poster number, the one assigned at the abstract submission. The template will be sent by authors to the session coordinator when required.